FFA - U.S. District Judge Presnell sentences Marcus Robertson aka Imam Abu Taubah to 20 months in prison and three years of probation. 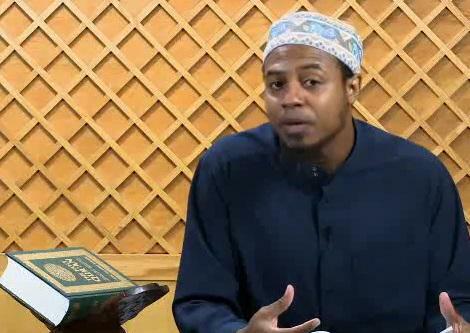 Imam was released after being held in prison for 3 ½ years on terrorism accusations. U.S. District Judge Presnell sentences Marcus Robertson aka Imam Abu Taubah to 20 months in prison and three years of probation. Robertson was released after being held in prison for 3 ½ years. Florida Family Association sent out email alerts which asked subscribers to send emails to encourage U.S. District Court Judge Gregory A. Presnell to give Marcus Robertson aka Imam Abu Taubah the strongest sentence for accusations of terrorism. On June 26, 2015, U.S. District Court Judge Gregory A. Presnell gave Marcus Robertson a prison sentence of 20 months and probation sentence of three years for tax fraud and weapons charges. Since Robertson had been held in prison for 3 1/2 years for the terrorism allegations Judge Presnell released him from prison for time served. Presnell determined there wasn't enough evidence to prove the terrorism claim which could have added up to twenty years to Robertson’s jail sentence. Unlike, U.S. District Judge Beth Bloom who found credible prosecutorial evidence to give maximum sentences to Muslim Qazi brothers for planning terrorist attacks at New York landmarks, Judge Presnell did not find enough prosecutorial evidence. The Orlando Sentinel’s report on this case is posted here. Judge Presnell referred to the emails that he received from people who wanted the strongest sentence ordered for Marcus Robertson. A special thanks to everyone who sent emails to the judge. Florida Family Association will continue to monitor federal and state cases involving Islamist terrorism and Islamization of America.